Turn-Key Opportunity - Existing Location! 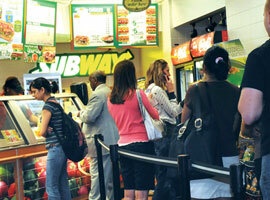 - This is the largest franchise in the world and is a very recognizable brand. We get a great mixture of business and residential customers as we are in the heart of the community. An opportunity like this does not come often and to get a store that is already established with a customer base is very desirable. Once you are a part of the franchise community, there are many chances to expand your business to numerous locations as it is one of the fastest growing franchises in the world. The facility is 1,200 square feet. The monthly rent is $1,947, and CAM Charges are $602.56. The current lease term expires in July 2017 with option to renew. Employees: 1 FT & 5 PT. Furniture, Fixtures & Equipment included in Asking Price. Marketing and Coupons with the franchise tools would assist in increasing sales. Seller will be available for transitional training. Seller to cover upcoming remodeling costs of $15,000. Owner very busy w/ other full-time job & parents are retiring.